Laura Thweatt crosses the finish line as the winner of the Open Women event in 2015. The Durango High graduate is focusing her career on marathons, and is ready to tackle her second major marathon on April 23 in London. Laura Thweatt is leaving the track to focus on marathon racing. Her goal is the Summer Olympic Games in 2020 in Tokyo. Laura Thweatt’s fleet feet are ready to tackle a second major marathon. The professional distance runner from Durango will leave Colorado on Saturday for the London Marathon, which will be held Sunday, April 23. It will be the second major marathon race for the 2007 Durango High School graduate and University of Colorado at Boulder product. She was the fastest American woman and placed seventh overall at the 2015 New York City Marathon in 2 hours, 28 minutes, 23 seconds. London became Thweatt’s big goal after barely missing the 2016 Summer Olympic Games in Rio de Janeiro. She fell short of qualifying in the 10,000- and 5,000-meter runs at the Olympic Trials in Eugene, Oregon. Thweatt competed in a pair of big events to open the year. She finished second at the USA Track & Field Cross Country Championships in February in Bend, Oregon. The 2015 cross country national champion backed that up weeks later with a fourth-place finish at the USATF 15-kilometer Championship on March 11 in Jacksonville, Florida. Those were encouraging performances for the 28-year-old after she dealt with a osteitis pubis injury in 2016 that has lingered into the new year. Osteitis pubis is described as an overuse injury with tissue damage and inflammation of the pelvis where the two pubic bones join. The condition can cause severe groin pain. Thweatt’s parents, Jean and Steve, who still live in Durango, watched as their daughter committed herself to continue her running career with a new focus after the Olympic trials. Thweatt already qualified for the world cross country championships thanks to her second-place result at nationals. But she surrendered her place on the U.S. team to focus on London. She hopes to qualify for the IAAF Marathon World Championship also to be held in London in August. She is now fully committed to the 26.2-mile distance for the next four years with eyes on the 2020 Summer Olympic Games in Tokyo. Thweatt’s coach, Lee Troop, is experienced in the marathon distance and had his personal record at London. With his coaching and the support of the Boulder running community, London felt like the perfect fit for his second marathon as she works toward becoming a full-time marathoner. After running 2:28 in New York, Thweatt has set a goal to run faster in London, a course she described relatively flatter than New York. 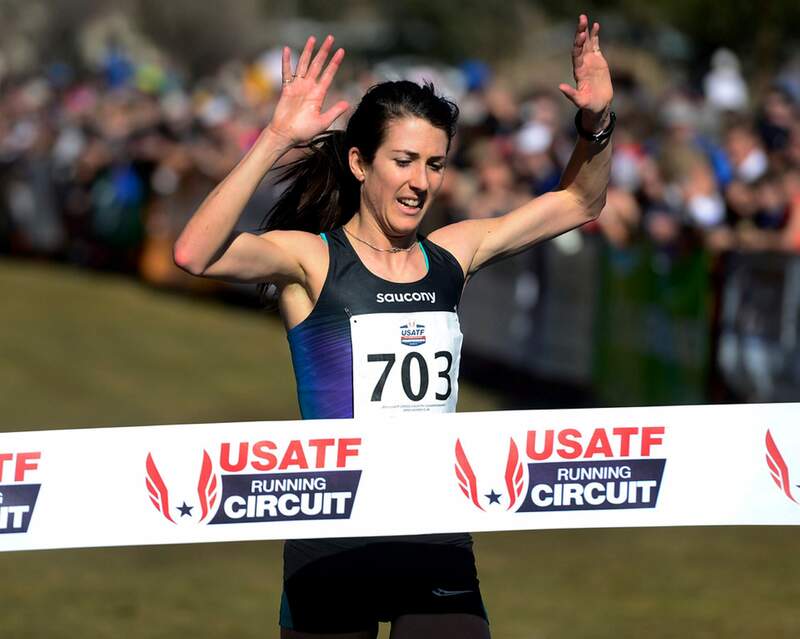 She is one of two American women on the start list for the women’s elite field along with Kellyn Taylor of Wisconsin and the Northern Arizona Elite club. A top-10 finish is the ultimate goal for Thweatt, who renewed her Saucony sponsorship through 2020 in a deal announced Thursday. 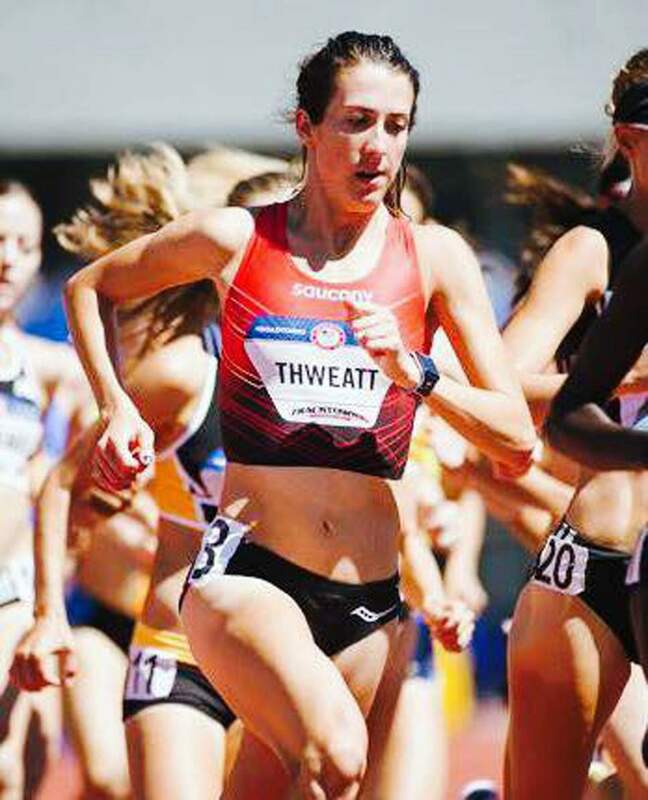 Jean Thweatt said her daughter is relishing the new chapter in her running career, and Team Thweatt is all in. Her parents and fiancée will travel to London with her and spend portions of the three weeks she will spend in England. Though she calls Boulder home now, Thweatt said Durango is still with her in every race she runs, and London will be no different. “Don’t forget where you came from. It’s those things and places that make you who you are,” she said.